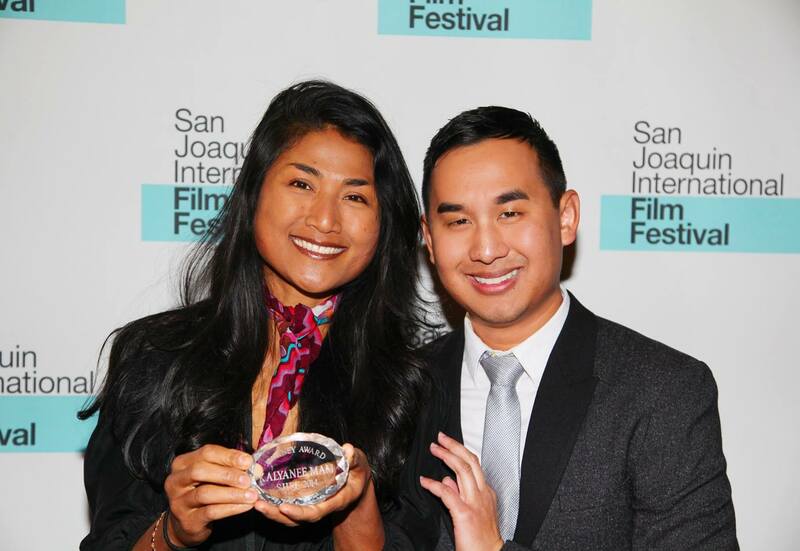 Cambodian-born filmmaker Kalyanee Mam, left, with Cambodian-born film festival programmer Sophoan Sorn, director of the San Joaquin International Film Festival in Stockton, in January 2014. Via SJIFF. If you enjoy homework assignments that involve hunting down and watching a lot of international movies, then get ready to study. Filmworks will present the adventure fable “The Rocket” as part of the 2014 Fresno Film Festival. The international co-production — from Australia, Laos, and Thailand — screens Saturday, April 26 at 4 p.m., and it will feature a post-screening Discussion Circle with Fresno State anthropologist Dr. Kao-Ly Yang. The full festival runs April 25-27. A cross-generational family drama, “The Rocket” follows the hopeful journey of 10-year-old Ahlo, a boy trying to refute his bad luck by entering himself into a competition to build a giant rocket that might help bring rain to his village in war-scarred Laos. It’s not the first Laotian film that Filmworks has presented; at the 2008 Fresno Film Festival, we played “Nerakhoon (The Betrayal),” a powerful, award-winning, and well-received film that documented the life of Thavisouk Pharasavath and the wars he fought not only in his native Laos but on the streets of New York City as an American immigrant. Inspired by our forthcoming screening of “The Rocket,” we called upon Cambodian-born film festival programmer Sophoan Sorn to share some of his favorite films about Southeast Asia. Sorn’s family migrated from Cambodia to Stockton, Calif., in 1991 when he was 6 years old. He later studied film at the Academy of Art University in San Francisco, and in 2008 he founded the acclaimed San Joaquin International Film Festival in Stockton, which celebrated its seventh anniversary this past January. Since 2010, he also directs the Berlin & Beyond Film Festival in San Francisco. Sorn feels it’s important to recommend films that people can actually find and see, pointing out that most of Southeast Asian cinema doesn’t typically have international distribution and is therefore not visible to Western audiences. Here’s hoping that some of Sorn’s recommendations help put a few great films on your radar. 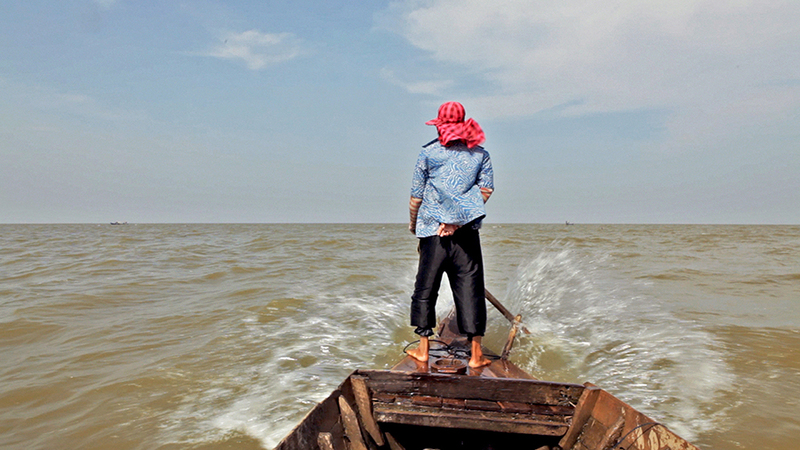 From “A River Changes Course” out of Cambodia, directed by Kalyanee Mam. Via Migrant Films. Winner of the World Cinema Grand Jury Prize for a documentary at Sundance, “A River Changes Course” looks at the rapid changes and hard choices forced by globalization in Cambodia. It’s directed by Cambodian-born filmmaker and social justice advocate Kalyanee Mam, whose family, like Sorn’s, immigrated to Stockton. The film made its Central Valley debut in January 2014 when Sorn booked it to play at the SJIFF. • “The Missing Picture”: Half documentary and half claymation dream, this 2013 film about one family’s experience before and after the Khmer Rouge wowed audiences and won awards at Cannes and also earned an Oscar nomination. • “Golden Slumbers”: This 2011 documentary reconstructs the golden age of Cambodian cinema from 1960-1975. • “Rice Field of Dreams”: This 2011 documentary follows the the country’s First National Baseball Team on a five-year journey as it prepares for competition against other Southeast Asian nations. • “Dancing Across Borders”: This 2010 documentary tells the story of Sokvannara “Sy” Sar, a young Cambodian dancer who comes to the United States with the help of American philanthropist Anne Bass. From “Uncle Boonmee Who Can Recall His Past Lives” out of Thailand, directed by Apichatpong Weerasethakul. Via Kick the Machine. The first Thai film to win the Palme d’Or Award at Cannes, Uncle Boonmee Who Can Recall His Past Lives tells a reincarnation story. The movie’s title character spends the last days of his life reminiscing with loved ones both alive and dead, as he explores his past lives and contemplates his coming death. Filmworks presented the movie as part of the 2011 Fresno Film Festival. • “Tropical Malady”: Also from Weerasethakul, this 2004 drama tells the story of a romance between a soldier and a country boy, intertwined with a Thai folk tale connected to the forest, where spirits go to live. • “The Love of Siam”: This 2007 romantic drama tells the sweet story of two childhood friends who are reunited and discover their feelings for each other. From “Baler” out of the Philippines, directed by Mark Meily. Via Viva Entertainment. Elsewhere in Southeast Asia, there are many more examples of interesting films. Among them is “Baler,” a 2008 Filipino drama that Sorn presented at the SJIFF in 2009. The film follows a band of Spanish soldiers in the late 19th century during the Siege of Baler, as they fought Filipino insurgents for 337 days. A forbidden love story develops between a Filipino woman and a Mestizo man who is torn between his support of the ruling Spanish and the native rebels. • “Ilo Ilo” out of Singapore: This elegant 2013 drama, a Cannes favorite, follows the lives of a family and their maid and the complications in their lives in the wake of the Asian recession. • “The Act of Killing” about Indonesia: This riveting 2012 documentary comes from American-born director Joshua Oppenheimer, who is based in Denmark. The film turns documentary filmmaking upside down by re-enacting and presenting in current time the story of Anwar Congo and his friends, who beginning in 1965 became the mass murderers of alleged communists, intellectuals, and ethnic Chinese and who have been celebrated as heroes for more than 40 years. The filmmakers ask them to re-create their killings. Jefferson Beavers teaches journalism and film studies at Fresno City College. He serves as Filmworks president.